shhhhh please do not tell Escape Kitty that I borrowed her photo to use on my blog. 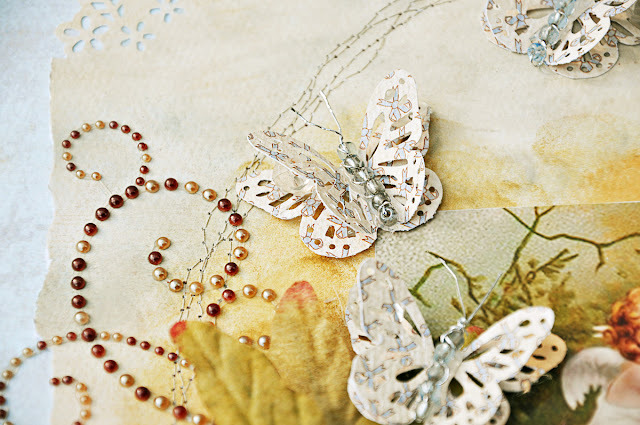 The photo was so sweet and puuuuuurfect ( as she would say) for my paper selection and ZVA Creative bling. If you don't know who Escape Kitty is, she's my adventurous cat who leads quite an interesting life. Heck, she has angels playing harp for her. Now that's really something. Kitty prefers to do her own scrapping and fancies herself a master at all she touches, so that is why I'll get in toruble with the cat if she finds out I used her image. Shhhhhhh. I created this with the sketch from Once Upon A Sketch By Nadia Cannizzo. She always does as exquisite job with her sketches. To walk with the love of your family is to walk with the angels. I also paired this with the wonderful ZVA Creative and Authentique's new spring collection, "Hope". ZVA FL-04CA-114 36 piece Leaves #II 1.5"
I love this layout! Gorgeous colors and the thee you worked with is amazing. 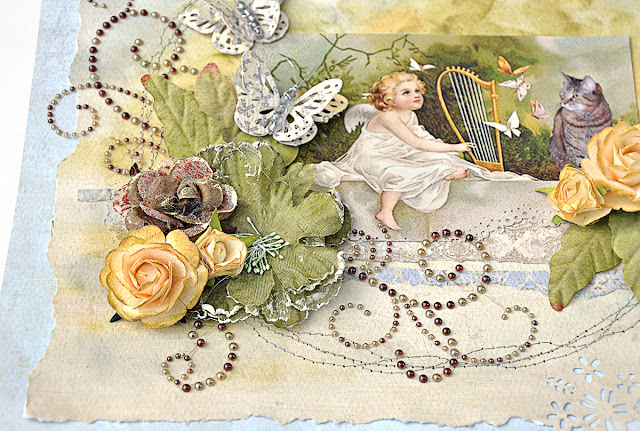 I like whimsy and the flowers are just awesome!! I can't find enough words to say how beautiful this layout is but will try a few - gorgeous, pretty, soft and lovely. Oh my! Your page is awesome!!! Thank you so much for playing along with us at OUAS! 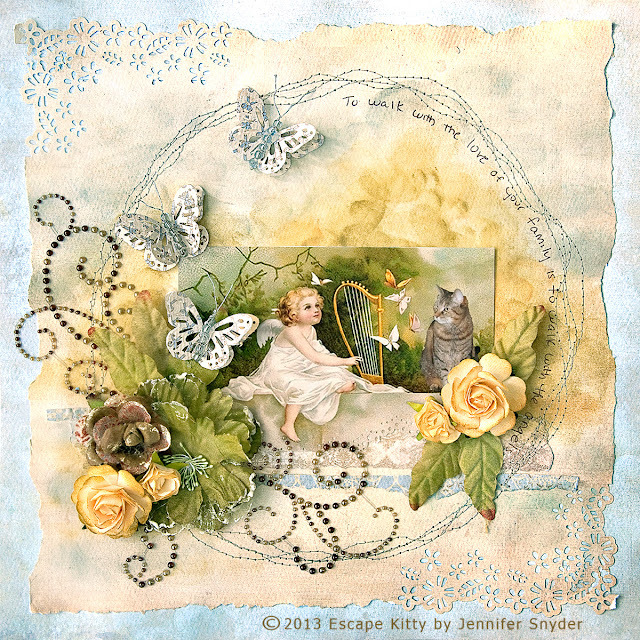 :-) Am always looking forward to seeing Escape Kitty's latest adventure--playing with angels is certainly a memorable one! Innovative interpretation of the sketch & challenge. Thanks for joining us at OUAS! Jennifer, such a beautiful page! I too love to see what Escape Kitty has been up too! LOL! This is a wonderfully beautiful and soft page with stunning details! Thank you so much for playing along with the challenge at OUAS! Congrats on winning at ouas!! An adorable page! Congratulations on your win! I love the punched corners and what you have done on the background! And the stitching is fab! Zva Creative February Blog Hop!